Encore Equestrian Center offers lessons, leasing, and showing opportunities. 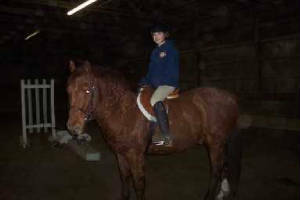 We also have a wonderful 4-H club, the Encore Equestrians, in which we would love to have more members. We also occasionally have horses for sale. Please check back around Spring time for information regarding summer Horse Camps!! 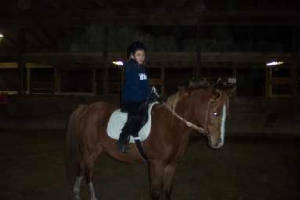 Lessons : Riding lessons of all disciplines and skill levels are offered. I welcome students who have never even come near a horse, only dreamt of it, to those who have been riding for years and still have things to work on. I offer private, semi-private, and group lessons (no more than 4 riders). Private lessons - 30 min. If you wish to lease a horse, I offer full and half leases. A Full lease includes access to riding that horse 5 days a week for no more than 2 hours a day any time you wish as long as it is not being used for Encore Equestrian Center, LLC purposes. You may also show and trail ride that horse if you wish. A half lease includes access to riding the horse 4 days a week for no more than 1 hour a day when not being used for E.E.C. purposes. You may also show and trail ride the horse if you wish. When you half lease, most of the time someone else will too. It is up to the two parties involved to work out times for riding schedules that work for both parties. *All lessors are required to take at lease one lesson a week while leasing. Practice rides are when a rider wants some extra ride time but is not leasing and does not necessarily want another lesson. It may just be a nice day and they feel like riding. 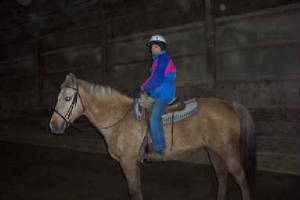 There is no instructor for this ride, although an instructor or supervisor must be present at the barn at the time. Lewis is Libby's own horse. They are going to jump their way into the winners circle! Meet a few of our lesson horses!! Wolf is a beautiful 17 H, TB gelding who excels in dressage, hunt seat, and jumping. Sunshine was a wonderful part of our team who was recently sold. We will miss her!! 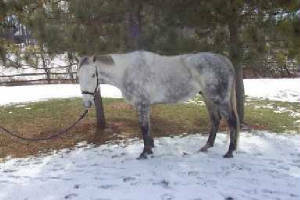 Bravo is a sweet Arab gelding who LOVES to jump, and looks lovely in hunt seat and dressage.